If you find it impossible to balance between your work, social life, family and cleaning chores, our professional cleaning services are just the thing you need – we operate predominantly in London, but can service customers in the neighbouring boroughs upon request. 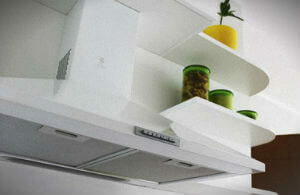 The cleaners working for our company are all expertly-trained, highly-skilled and very detail-oriented. You can have your peace of mind as all cleaners on our team are fully-insured for public liability and have proven track records. With their help, you can enjoy a neat and sparkling clean home or office without having to lift a finger! Our company is offering you a professional window cleaning service that is second to none in the entire London area. Our services are performed by skilled and equipped cleaners, who work with professional equipment and tools and cleaning products. Our team will be easily reach the highest or tallest windows, plus we guarantee you streak-free window cleaning thanks to our professional squeegees and cleaning agents. Our results will last much longer than you would expect. Call us and choose our professional window cleaning service because we have very attractive prices and we are very flexible with our services. 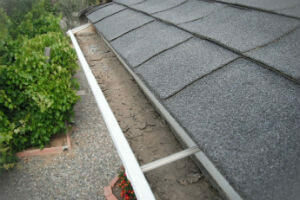 Cleaning your gutters when lacking skill, experience and professional equipment is not only ineffective, but dangerous. Fortunately, we can help you out as gutter cleaning is our London-based company’s speciality. We charge the lowest rates in the area and always complete our work up to par with customers’ high expectations. Being an established company, we have invested in professional vacuuming equipment and extendible, carbon-fibre poles which allow our trusted operatives to reach gutters at up to four storeys height. All debris and silt is collected in our vacuuming machine’s drum, leaving your property neat and clean. Make the right decision for your home and give our gutter cleaning experts the go-ahead! Your windows are too high for you to reach? Or you get frustrated when cleaning your windows because it is difficult for you to clean them without leaving streaks? You are in the right place then, call us now and book our professional window cleaning service to get the job done. Our cleaning service is performed by our experts and they are equipped with professional cleaning agents that will not leave any streaks and professional squeegees. Our professional window cleaning service can be booked here in London for your home or your office. Please do not hesitate to contact us at any time. 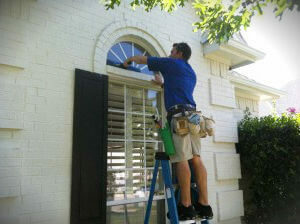 You are in urgent need of quality gutter cleaning? We are the right company to call as we specialise in gutter cleaning and boast the quickest response time in the entire London. You will benefit from our expertise, proficiency, and keen rates. All gutter cleaning work our reliable operatives undertake is backed with a month guarantee for your peace of mind. We have a full public liability insurance and work with referenced, experienced, and deft individuals only. The team is fully-equipped with high-end gutter vacuuming machines and telescopic poles, which allow for effective and quick cleaning of customers’ gutters. Request your free quote today by getting in touch with our call centre representatives!